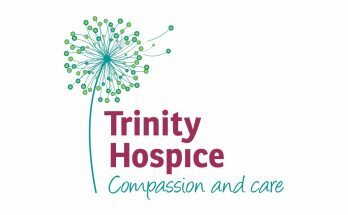 Trinity Hospice wishes to appoint a dynamic, motivated and committed individual as its new Medical Director to help lead the organisation forward at an exciting time in its development. Working alongside Trinity’s Directors including its Clinical Director and CEO, as well as Palliative Care Consultants and Doctors, the successful candidate will provide strategic leadership to Trinity Hospice, around palliative and end of life care, including how specialist palliative care services should work alongside and influence health and social care colleagues at a time of significant change. The post holder will support the delivery of Trinity’s mission statement of “enabling compassionate care on the journey to end of life” through supporting and extending the reach of the hospice and specialist palliative care across the Fylde Coast. They will also be a Director on the senior management team as well as overseeing Trinity’s medical establishment. The successful candidate will have previous extensive experience in clinical medicine – with at least 4 years in a substantive medical role such as General Practice or Consultant (this need not be in palliative care). The role is well suited to someone looking for either a part-time role or job-split with an existing position such at a GP practice or p/t hospital consultant’s position. Trinity Hospice is rated as Outstanding by the CQC and has Investor in People Gold accreditation. The Hospice is based in Blackpool but serves the wider geographic area covering the entire Fylde Coast and beyond, with a community of c350,000 including the attractive towns of Lytham and Poulton-le-Fylde. The hospice has both an adult and children’s unit alongside a wide range of other services. Trinity has an excellent reputation as a forward thinking, high performing and progressive organisation and for being a great place to work. Trinity has the resources to be innovative in partnership with others including Lancaster University and the CCG sponsored Fylde Coast End of Life Strategy Group. The post is advertised at full time (6 Sessions / PAs) but this is negotiable.